The Steel Markward Gorget stands out due to its construction from three metal pieces rather than the typical two-part design. 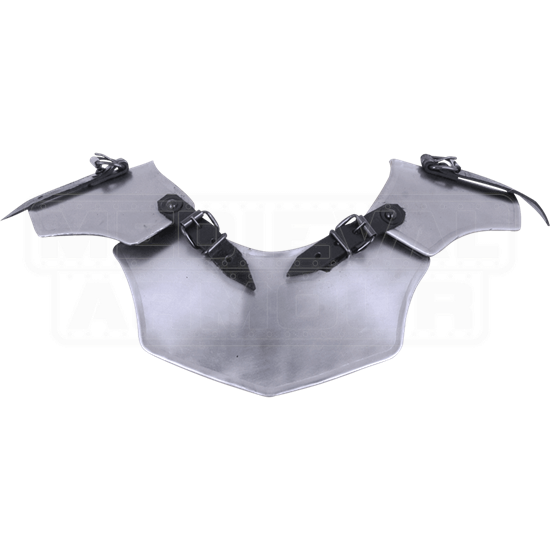 The steel gorget shows off a great look with curved sides and a bright metal finish. 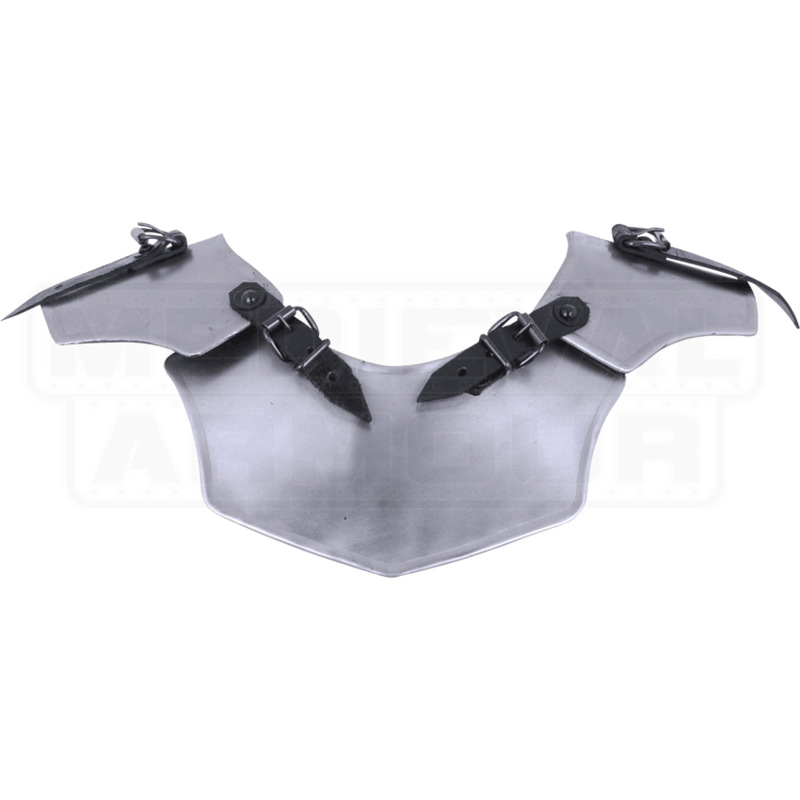 Straps on the sides allow the medieval gorget to attach to a pair of spaulders like the Large Steel Markward Spaulders (MY100068) or Small Steel Markward Spaulders (MY100075). 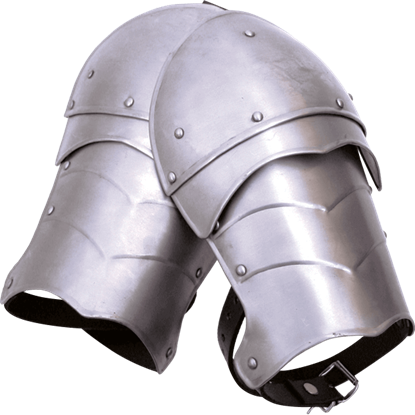 We recommend wearing a padded collar or other arming wear underneath the metal gorget for increased comfort. This neck armour works great for LARPing, re-enactments, and Renaissance fairs.